When working with MS Excel and using some of the tools or an add in, you may come across situations where your tool won’t run because of protected sheets. If you have lots of sheets it can be quite tedious to try and find the protected sheets manually. If sheets are hidden you may not even know that there is a protected sheet. 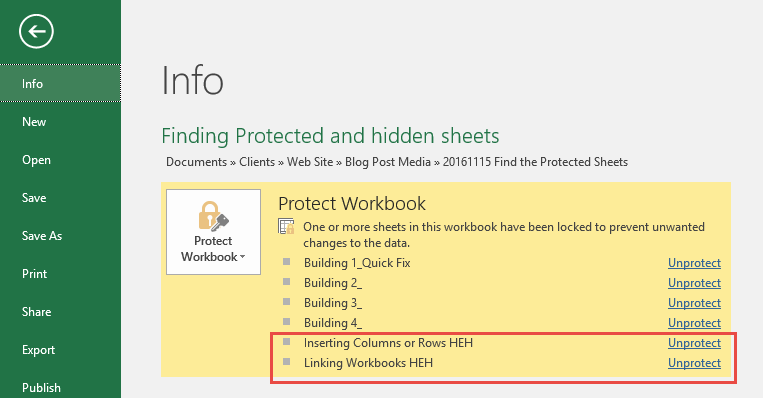 So how do we go about finding protected sheets in Excel. If we do something simple like Inspect a spreadsheet document (click on FILE, then INSPECT WORKBOOK then INSPECT DOCUMENT) it won’t run. This workbook cannot be inspected because it has one or more protected worksheets. You may already have seen where to find all the Protected Sheets in the images above. 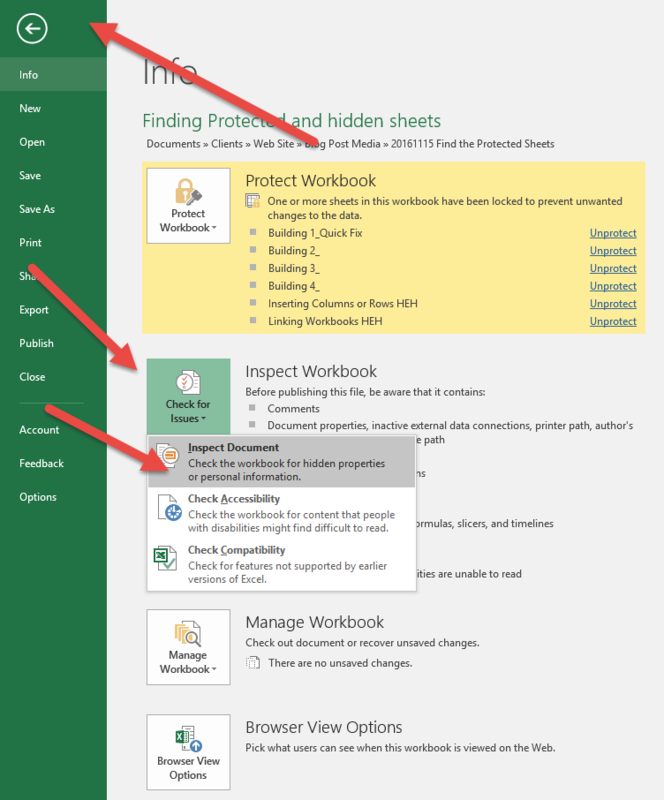 In that same screen (when you click on File) you will see that in the latest versions of Excel it will identify all the sheets that are protected. As shown below you can then easily click on the unprotect link and unprotect the sheets without having to jump between them and go to the Review tab. Notice as well the last 2. In the spreadsheet example these 2 sheets are actually hidden. So you wouldn’t see them if you scroll through the sheets but on this screen it shows ALL protected sheets, even if they are hidden. 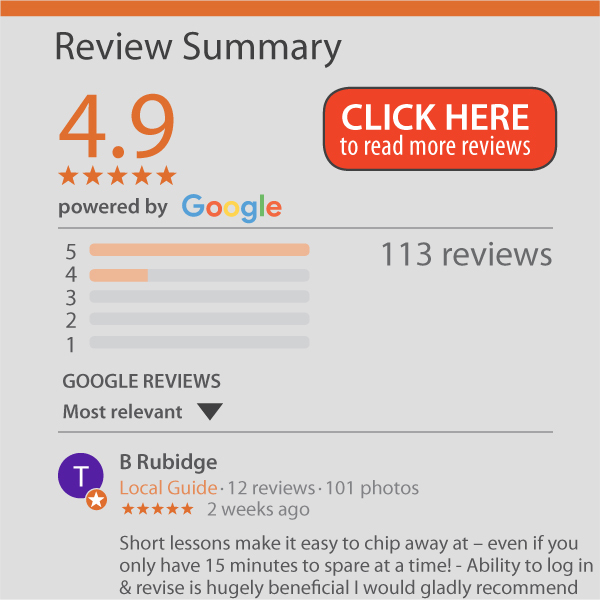 You can learn more about protecting MS Excel spreadsheets on the Online Advanced MS Excel course.